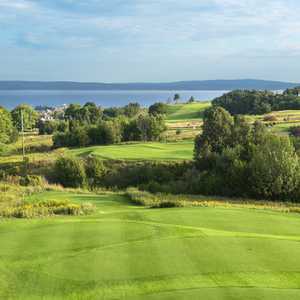 Bay Harbor Golf Club features three nines that are played in three 18-hole combinations. The Links/Quarry course first plays across stone cliffs bordering the coastline and then winds its way down to an immense shale quarry complete with 40-foot gorges. 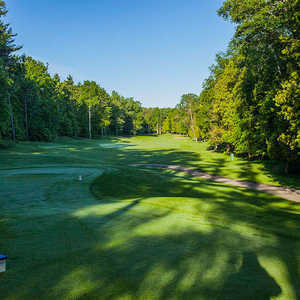 Bay Harbor Golf Club boasts 27 holes that are divided into three completely distinct nines, played in three 18-hole combinations. 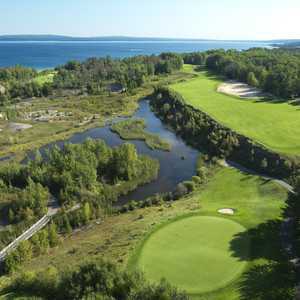 Unlike the waterfront Links and Quarry nines, the Preserve plays through the woods, a more typical landscape of courses in Northern Michigan. There are three unique nines at Bay Harbor Golf Club. The 27 holes combine to create three challenging and completely different 18-hole courses. The Quarry/Preserve Course begins by wandering through an immense shale quarry sprinkled with 40-foot gorges.